The popularity of destination weddings is on the rise around the world. For instance, according to some statistics over 25% of couples had a destination wedding in the last few years. This number is expected to increase in the future. (1) This is not a surprise because destination weddings bring many benefits. For instance, choosing a wedding destination away from home is a win-win. Couples have the opportunity to honeymoon right on the same island or another Bahamas island after the wedding celebration. The guest list is smaller as well. Next, this is a great solution when the bride and groom come from different places. Finally, destination weddings allow people to visit places they love and want to explore. In case you are wondering where you can organize the best destination wedding, we will save you some time and money by suggesting the Bahamas. Here’s why! The Bahamas are located not very far from the coast of Florida. The islands there are well-known for the beautiful beaches and tropical vegetation. Weddings in the Bahamas are ideal for couples who are looking for a tropical paradise for their wedding. 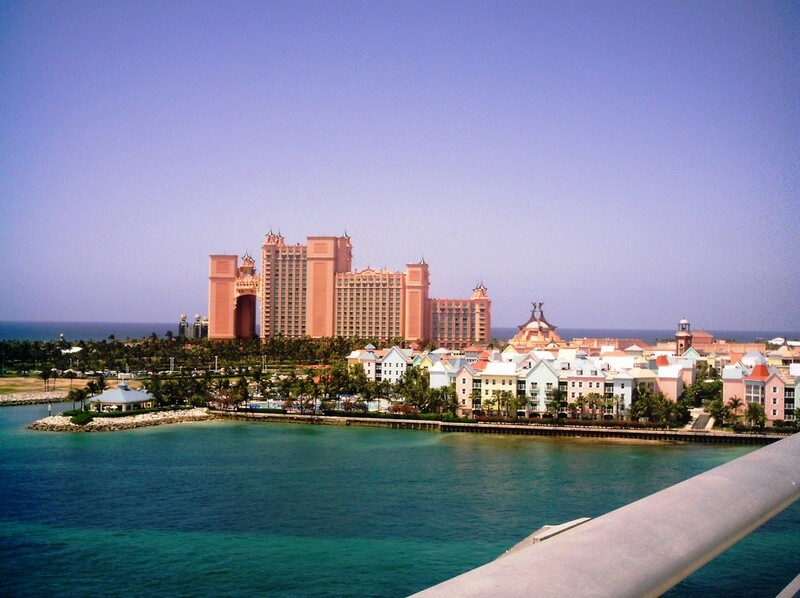 The Bahamas consists of more than 700 islands and they provide a wide array of wedding venues. Whether you are interested in an intimate, small wedding or a grand luxurious destination wedding the Bahamas option, you can rest assured that your wedding will be enjoyable and memorable. When considering your destination wedding Bahamas options, you can choose between dozens of islands and cays with breathtaking beaches. 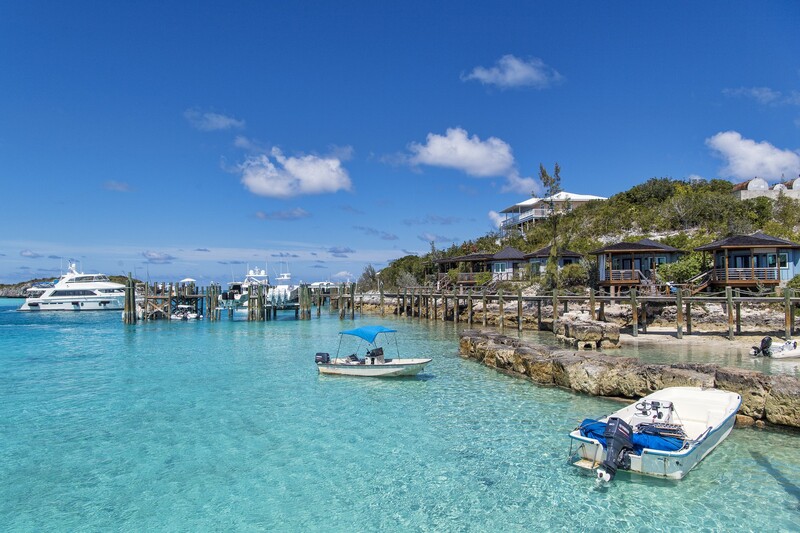 For example, The Exumas are the favorite wedding spot for many people. (2) Our islands have many stunning powdery white sand beaches, pristine beaches and crystal clear waters. The Exumas also boast old churches and historical places that are perfect for taking amazing wedding photos. In case you are more interested in unique coral reefs and cliffs, then you can’t go wrong with Long Island. Many weddings in The Bahamas take place in Inagua Islands, the southernmost islands in the Bahamas because these islands are packed with some beautiful exotic birds. Paradise Island and Nassau are an excellent option too especially if you want to experience a mixture of amazing nature and big city opportunities. Of course, there are many other great solutions for couples, so it’s the best idea to take time to do research on your destination wedding in the Bahamas. 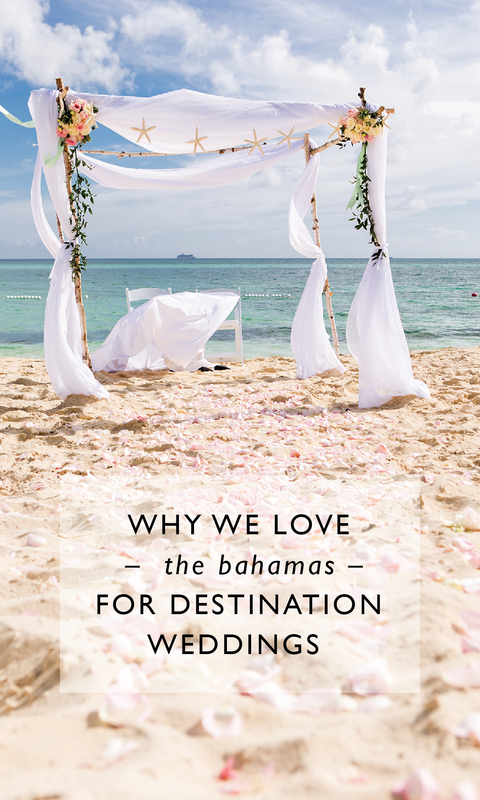 Destination wedding Bahamas is one of the most searched terms on the Internet when it comes to destination weddings. But, the Bahamas are a very popular holiday destination too. There are many accommodation options. If you are looking for wedding venues or places to stay while you are here, you can choose between small local venues and exclusive resorts. Grand Isle Resort and Spa, Sandals Exuma Resort, Atlantis Resort, and The Cove Eleuthera are a few of such resorts. The positive vibe created by the friendly local population and the breathtaking nature in the Bahamas will make your destination wedding here exciting, fun and enjoyable for everyone.